The "Jealous" singer commented on his older bro's relationship during an appearance on Entertainment Tonight, explaining, "Their relationship is their own thing. And I'm happy to see my brother happy — you love seeing your family happy. And she's a great girl and I love spending time with them together." After literal weeks of speculation (an excruciatingly long time when it comes to the "just admit it already!" culture of celebrity relationships), Nick Jonas is the first person to actual confirm that the two are, in fact, an item. But was the big reveal just a slip of the tongue? Though Nick may have accidentally spilled the beans, perhaps the whole thing wasn't such an accidental move as you may initially think. In fact, during the same interview, the "Chains" crooner opened up about his breakup with Olivia Culpo and may have shed some insight as to why he confirmed Joe's relationship. "I have regrets about not being open about relationships in the past," Jonas revealed, explaining that he doesn't regret being so candid about his two-year romance with Culpo. "That's the thing that makes it more challenging on many levels: You end up trying to hide the relationship or do things to keep it private, but it ends up putting more stress on the relationship." This sound bite is literally just Nick's preferences when it comes to his own personal life, but it could very well explain why he commented on his brother's relationship. Of course, he could've also chosen to do so because the speculation has been endless and it's not like Joe Jonas and Gigi Hadid have exactly been subtle about hanging out, so he could've just assumed everyone knew already. Which everyone kind of did, but it's always nice to have the official word. 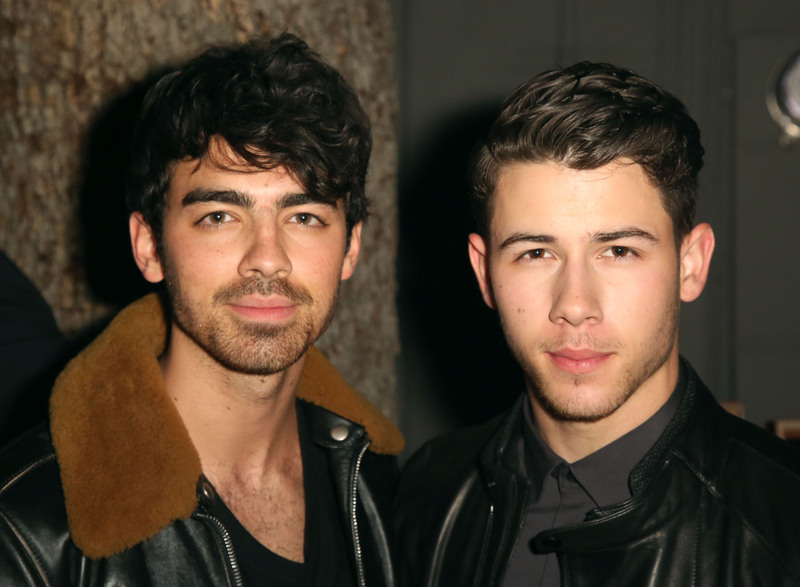 So thank you for that, Nick Jonas — and let the GIJoe shipping commence.